Surely the first part of the title does not sound quite IP related. However, following Ecuador news in the issue of ‘compulsory licenses’, it was the only principle of law that cross my mind. Yesterday, the Pharmaceutical Industry Research (IFI in Spanish) has accepted the Government’s decision to regulate pharmaceutical patents, considering it to be democratic. However, it its statement there were two issues that are relatively attention-grabbing. Firstly, IFI agrees that patents prevent the production of cheap medicines but needless to say, it emphasises that patents are the means to achieve balance between innovation and public interest. Point that I agree with. Secondly, IFI regrets for not having been invited to participate in the process. I completely disagree with this action. Isn’t it a general rule that persons whose interest are visible affected by a decision taken by a public authority must be given the opportunity to formulate their own views? I believe that this right must be respected even if the relevant proceedings were merely administrative proceedings. This procedure clearly affects the Pharmaceutical Industry. Specifically, those 177 transnational companies which control 82% of the medicines industry in the country. It is my understanding that the Decree is in line with the Ecuadorian Constitution and international agreements, and that it incorporates requirements of the WTO’s TRIPS Agreement and the Andean Community legislation. However, is it just this tango dancer who is moving alone and seeing a violation of a well developed principle of law? Nevertheless, we need to wait for clarification about the process. Will the Instituto Ecuatoriano de la Propiedad Intelectual (IEPI) notify the request to the owner of the patent concerned? Article 5 of the Decree establishes so. However, will the Institute invite the owner of the patent to submit any observations on the said request? In the same vein, as the EPI makes the first instance decision, shall a civil court have the right to review whether the procedure was correctly followed? I believe that the arguments of the patentee shall be taken notice of. The reason is that, in one hand, it will be helpful in deciding the terms and conditions for granting such a licence and on the other hand, it will be helpful in avoiding the abuse of the provision. The move comes, according to the Ministry of Economy, to be more recognised by consumers. This appears to be a wakeup call for the population, since it seems that consumers prefer international marks rather than national ones. Manufacturers can download the application online (but need to be submitted in person). Once submitted in the respective office (Secretaria de Economia (SE)) a receipt will be given. An answer is expected in no more than 5 working days; if no reply is heard, authorisation is automatic! The process appears to be straightforward. There is no much burden for the industries apart from the fact that they have to acknowledge the description of the product in question. 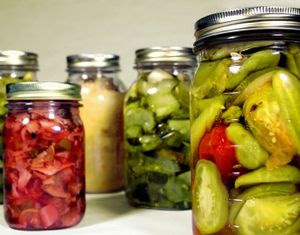 At this stage, there is the need to indicate in which way the Mexican parts (raw material or process) are used in the making of the product (Art 8 I (d)). This is clearly a good move from the Mexican industries; however how it this logo seen by the IP advisors? Is this a PGI but without the fuss? Or is this a collective mark? One thing I am sure of is that it is not a certification mark. There are not technical or quality standards required. May I emphasise that the only requirement is that there must be one issue that need to be ‘Mexican’. ‘LA PROPIEDAD INDUSTRIAL COMO ELEMENTO DE COMPETITIVIDAD. LA VISIÓN DE LAS EMPRESAS IBEROAMERICANAS’ (Industrial Property as a competitive element. The vision of the Ibero-American industries). The conference is organised by the WIPO, together with the Oficina Española de Patentes y Marcas (OEPM) and Instituto Mexicano de la Propiedad Intelectual (IMPI). This conference seeks to discuss, according to the program , the key of having and securing IP rights for the international success of your company. Brasil demandará a la Unión Europea por medicamentos genéricos. Brasil, junto con la India, prepara un contencioso contra la Unión Europea (UE) en la Organización Mundial de Comercio (OMC), que tiene como telón de fondo el desarrollo de la producción de medicamentos genéricos en los países en desarrollo.Brasilia acusa a los europeos de frenar sistemáticamente genéricos en tránsito para países en desarrollo, violando el derecho, por las reglas de la OMC, que toda nación tiene que importar esos medicamentos, que son más baratos y están libres de patentes. La acción europea es vista como desestabilizadora cuando se considera que varios medicamentos que son producidos por grandes laboratorios, generando US$ 30 mil millones en ventas anuales, van a perder sus patentes en los próximos años. "Un número importante de patentes va a caer en dominio público y es evidente que habrá más producción de genéricos", afirmó el embajador brasileño en la OMC, Roberto Azevedo. "Esas incertidumbres en el tránsito de genéricos por Europa son prejudiciales y violan obligaciones previstas en el Acuerdo de Trips (patentes)." Los europeos defienden el derecho de controlar medicamentos que pasan por su territorio para combatir eventual comercio de medicamentos falsificados e insisten en que no violaron los acuerdos de la OMC. The Presidential Decree which grants obligatory patent licenses to some pharmaceuticals has been enacted. 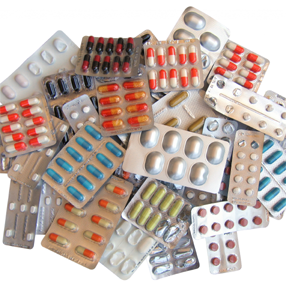 Since October 23, Ecuador woke up to a new patent system where approximately 2000 medicines may be affected. Under this system, the State can oblige patent owners to release an authorisation by which third parties are allow to copy the patent and thus, compete at the same level. According to the Instituto Ecuatoriano de la Propiedad Intelectual (IEPI) there has been more than 2000 patent applications but when reviewed only 480 were registered. From these, it is considered that only 200 will be enter on the list of obligatory licenses which are those that attack illnesses relating to cancer, AIDS, diabetes, hypertension, among others. The IEPI claims that they are ready to start granting obligatory licenses but they are waiting for the ‘list’. The Health Minister is the institution which is elaborating the file of medicines that are to be under this new system. Then, once they pass the list, the IEPI will start receiving applications from those nationals that would like to produce the medicines. There are 243 pharmaceutical working in Ecuador and 87% of these are transnational companies. As expected there are notorious opinions. The School of Chemist and Biochemist explains that they are concerned with the quality control of the medicines. One owner of a pharmacy affirms that there will be shortage since only 5% of the stock is from national labs. Observing closely, the Presidential Decree set up in Art 4 that those who opt for an obligatory license must paid to the patent owner some royalties. The amount will be decided (hopefully case by case) by the IEPI. It seems pretty clear however, that this will raise concerns. Transparency and adequacy of this process may be tainted by corruption (Corruption perception index 2008:2.0 - 151 out of 180). What is more of concern is that Art 1 establishes that ‘the decree will not apply to cosmetic, aesthetic and cleaning medicines and generally, those that are not use for treating illnesses. For the rest, specifically those illnesses that affect the Ecuadorian population and are considered priorities for the public health, licenses will be granted.’ Clearly, the list appears to be open. In fact, the question is: what is to be considered ‘priorities’? Once again, the issue of corruption comes to mind. The Pharmaceutical Research Industry (IPI in Spanish) in Ecuador said that they did not wish to comment on the issue until they did not know the extent of the Decree. (see comments here). 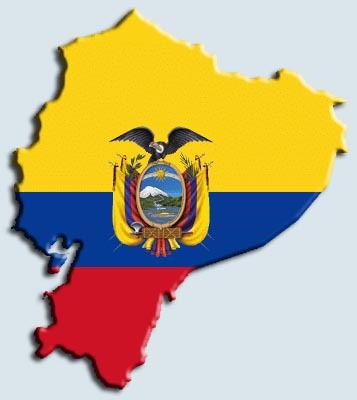 Ecuadorian Decrees can be accessed here, see No 118 for more info. Entrepreneurs in Mexico have united efforts to launch a series of beers named ‘la liga cervezera’ (the beer league). Their first beer label, named after the Argentinean footballer Diego Maradona, has already been registered. The trade mark is a composite mark comprising a word, a number and colours. Specifically, the label is represented by the number 10 which appears directly over the word ‘Maradó’. These are written over vertical lines comprising the colours white and light blue (the t-shirt colours of the Argentinean team). The manufacturers affirm that there are more to come but have yet not been registered. Because of that, they prefer not to disclose the others footballer. Now then, if we analyse the trade mark, many questions are brought into mind. Firstly, is this a strong mark? 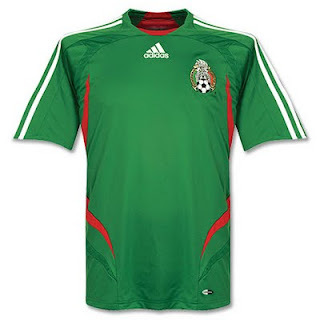 Clearly, the colours resemble the t-shirt of the national team. Moreover, the number 10 and the depicted name of the player (not in full) is an illustration of his personal t-shirt. These issues, in a case of infringement, will be considered when determining whether two composite marks are sufficiently similar to support a likelihood of confusion claim. Secondly, is this launch a type of merchandise? Indeed, there is an image and personality involved in the label and thus, some countries do not allow registration of this type of signs. Lastly, we could ask: are the players informed? We just need to wait the other labels to get underway to see whose t-shirt would be a trade mark in ‘the beer league’ and to come back with answers regarding the distinctiveness of such marks. From today onwards the Chilean company, which is the main telecommunication company in the country, will start working under the trade mark Movistar (see press release in Spanish here). 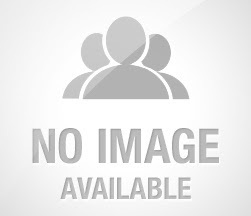 However, note that Telefonica SA owns Telefonica Chile Ltd and, as some of you may know, Telefonica SA is a Spanish company which is one of the largest land lines and mobile telecommunications operators companies in the world. Telefonica SA operates the Movistar trade mark through Latin America which provides only mobile phone services. In Europe for example, the company works under the trade mark O2. That said, Telefonica SA owns several line operators in the Americas and in Europe and has received quite a few fines under unfair competition laws due to its dominant position (see the European Commission fine here). Chile will be the first country in which the Spanish company will unite all telecommunications under the same trade mark, namely Movistar. Will the company’s bubble burst? I believe that with this action, there is a great possibility that governments would like to investigate this deal. Argentina: Innovar 2009. ¿Quién dijo que ser creativo no tiene recompensa? El día viernes 16 de octubre culmino la muestra de los proyectos de la Quinta Edición del Concurso Nacional de Innovaciones, Innovar 2009, de los Premios Innovar organizado por el Ministerio de Ciencia y Tecnología e Innovación Productiva. Se seleccionaron alrededor de 400 proyectos sobre un total de 2630 presentados. Lo importante de este tipo de eventos es la posibilidad de difundir la protección de la propiedad intelectual y su importancia estratégica para las innovaciones. 1. Victor Suarez Rovere con una presentación en la categoría “Producto Innovador” denominada “Nueva y exclusiva tecnología multitouch”. La Pantalla Multi-Táctil permite operar dispositivos en forma gestual con los elementos gráficos visualizados, utilizando varios dedos a la vez. Adicionalmente tiene la capacidad de discriminar distintos niveles de presión, lo que permite es apreciar correctamente las intenciones del usuario. 2. Graciela Font de Valdez, a cargo del “Yogurt probiótico: un proyecto solidario” de la categoría “Tecnologías para el desarrollo social”. El yogurt fue desarrollado por el CERELA-CONICET - Sistema Provincial de Salud- CERROS TUCUMANOS –Ministerio de Desarrollo Social (Gob. de Tucumán) y permite el mejoramiento del estado nutricional de niños con necesidades básicas insatisfechas. Se implementará en programas sociales. El público al que esta dirigido se vera favorecido por el aumento de las defensas, disminución de infecciones respiratorias e intestinales. Google is found yet again in court for posting material online. It has been reported (see newspaper in Spanish here) that a claim was brought against Google Chile for distributing, in Video and YouTube, a documentary film titled ‘El diario de Agustin’ (Agustin’s Diary). Google was made aware that the material infringed the owners’ copyright since it was making the documental available without prior authorisation and without payment. Yet, Google desisted to remove the allegedly material from the sites. For that reason, the producers brought legal criminal action against the Company. However, it is early days since the case needs to be studied by the public prosecutor and to be decided on whether such behaviour constitutes a crime/offense or not. It would be interesting to see, if the public prosecutor allows the action to proceed, the outcome of the dispute under criminal law. Does this particular violation of the IP law count as a crime? Or is it just an ‘offence’ to be resolved by civil law? Coca Cola has won a seven-year legal battle maintaining therefore the mark ‘Santa Clara’ for mineral water. The Consejo de Estado acted under the Tribunal de Justicia de la Comunidad Andina (TJCA) guidance and annulled the registered mark ‘Agua Santa’. The case goes back to 2001 when Juan Carlos Arango registered the trade mark ‘Agua Santa’ for natural water. To this stage, Panamco SA (Coca Cola’s representative Industry for this country) opposed to the registration considering that it was similar to ‘Santa Clara’. The Superintendence dismissed the allegations in view that they were unfounded. Panamco SA appealed to the Consejo de Estado (Registry Control Organisation) claiming that the marks were similar when assessed. Moreover, it was alleged that there were no added extras to the word ‘Santa’ which will make the mark distinguishable from ‘Santa Clara’. On the contrary, the Superintendence insisted that when the marks were examined there was not phonetic similarity. The Consejo de Estado consulted the TJCA which held that when assessing composite marks, a global appreciation test must be applied. Such a test, continued the Court, needs to examine the visual, aural or conceptual similarity of the marks in question. To this end, the Consejo de Estado held that the marks were visually and phonetically similar and annulled the disputed mark. In my opinion, the TJCA was right to apply a global appreciation test and to direct the national institution to an appropriate conclusion. Moreover, there was the need to consider that the goods were identical and thus factors such as trade channels, use, and users were the same. Added to this, there is the fact that the word ‘Agua’ (water) was a generic term. Yet, the Court asked to apply correctly the global appreciation test to the compose mark – leaving aside any salami slice approach. The decision of the TJCA in Spanish can be accessed here. Last Tuesday IP Tango thanked Jorge Miguel Arruda da Veiga (Di Blasi, Parente, Vaz e Dias & Asociados) for providing the weblog with a link to Brazilian Law no 12035/2009, which sets outs the provisions of the Olympic Act (see article here). This week Jorge has gone even further and has now provided us with what we believe to be the first translation of the new provisions into English. You can read the text of the English translation in full here. The Ministry of Health has called upon private companies to set partnerships and strategic alliances with public laboratories to foster the production of innovative drugs in Brazil. The campaign for new partnerships took place last week, as the health authorities highlighted the availability of the National Bank of Economic and Social Development (BNDES) to fund, at a very low interest rates, new ventures for certain priorities areas, such as the pharmaceutical sector. Further to that, it will be announced by the end of the year a series of collaborative agreements between 18 public laboratories and local private companies, being all of them related to research and developments of relevant drugs to the Brazilian population. In the campaign for partnerships, the Ministry of Health praised once more the strategic alliance recently executed (August 17, 2009) between GlaxoSmithKline Plc (GSK) and Brazil’s Oswaldo Cruz Foundation (FIOCRUZ) as it is a continuous step towards the commitment to decrease the Brazilian external dependency on the treatment of some diseases and build up an industrial infrastructure for the sector. With this agreement, it is expected that GSK will invest the amount of EUR 35 million, in the installation of a research and development centre for the development of a vaccine for malaria, yellow fever and dengue fever. Moreover, FIOCRUZ shall have full access to the underlying technology of GSK’s 10-valet conjugate vaccine for paediatric pneumococcal disease (known as Synflorix), which will allow FIOCRUZ’ Unit, so-called BioManguinhos, to produce 13 million doses of vaccines per year. In the meantime, GSK will supply Synflorix to the Government and this vaccine will become part of the Brazilian National Immunization Program (PNI), in 2010. It appears that GSK and FIOCRUZ relationship in the development of vaccines turned out to be, once again, fruitful for both parties, a partnership initiated back in 1985, with the supply of polio vaccines to the Brazilian government. Perú: denegación del registro de la marca "Pezweon"
Gracias a Alejandra Castañeda y Enrique Polo Santisteban en IP Tango hemos tenido conocimiento de esta curiosa noticia en materia de marcas. Copio las palabras de Enrique Polo (Instituto Toulouse Lautrenc de Comunicación y Diseño): "Resulta que hay un personaje creado por diseñadores peruanos y que se hizo popular a través del Facebook: El Pezweon. El nombre es una contracción de la frase "pues huevón", que los peruanos jóvenes solemos utilizar coloquialmente y entre amigos de muchísima confianza como una llamada de atención. Por ejemplo, si estamos jugando un partido de futbol, damos un pase y la persona retiene la pelota, le gritaríamos "¡patea al arco pues huevón!". Demás está decir que el término "huevón" sigue siendo ofensivo si se lo endilgas a terceras personas, y no ha perdido su condición de palabra insultante para señalar torpeza o poco criterio. Pues bien, los autores del "Pezweon" publicaron comics en Facebook, con tal exito que la Editorial NORMA contrató con ellos para publicar una versión impresa, la cual fue registrada con exito ante la Dirección de Derecho de Autor del Indecopi. 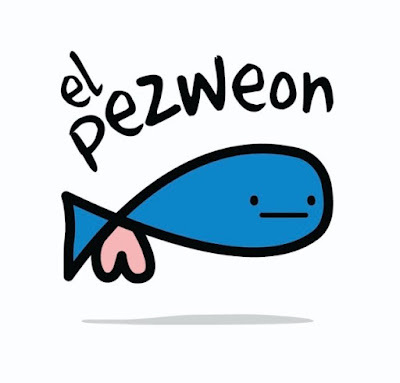 La controversia se ha suscitado porque los autores solicitaron además el registro de la marca "El Pezweon" en la clase 25 de la Clasificación Internacional (Prendas de Vestir), y la Dirección de Signos Distintivos del Indecopi ha denegado ese registro por ser contraria "a la moral y a las buenas costumbres", prohibición legalmente establecida por la Decisión 486 de la Comunidad Andina. La denegatoria se basa esencialmente en la utilización de la partícula "weon" que será perfectamente entendida como "huevón". Los solicitantes han presentado recurso de reconsideración, pero yo veo que aquí los argumentos jurídicos ya se acabaron, la discusión está en el terreno de la moral, cuestión bastante subjetiva. ¿No sería mejor que no existiera esa prohibición?, yo creo que sí y esta editorial del periódico El comercio también. En Derecho de Autor no existe y no pasa nada. Deberíamos quedarnos sólo con la prohibición de registrar signos contrarios "al orden público", que es un concepto totalmente objetivo, pues el orden público está impuesto por normas positivas. El Presidente de Ecuador, Rafael Correa, anunció en su revista semanal que pasara un decreto por el cual derogará las patentes farmacéuticas en Ecuador. La medida obligará a las farmacéuticas trasnacionales a otorgar licencias para que dichas medicinas se produzcan nacionalmente. Indica también, que en un futuro cercano dicha medida se extenderá a los agroquímicos. Sin embargo, el Jefe de Estado explica que habrán excepciones como las ‘medicinas cosméticas y ciertas medicinas no indispensables’. Debemos notar con mucho cuidado la idea socialista de su discurso, pues el Presidente deja entrever que el derecho a la Propiedad Intelectual es un derecho que le ocasiona fortuna solo a las empresas trasnacionales. Hay que observar también, que en su alocución pareciera que en un futuro tal derecho no existirá en otras áreas, posiblemente, ¿derecho de autor? ¿diseños? Específicamente, el Presidente clama “Empezaremos con medicina, pero luego continuaremos con agroquímicos y con otra clase de conocimientos que, insistimos, consideramos que son bienes públicos necesarios para la prosperidad humana y no pueden ser privatizados". A pesar que el Presidente Ecuatoriano dice que será el pionero en esta clase de política, esta misma estrategia ya ha sido clamada por otros presidentes latinoamericanos, como por ejemplo Hugo Chávez de Venezuela, Daniel Ortega, de Nicaragua y Evo Morales de Bolivia. Si dichas políticas siguen extendiéndose a otros sectores de la Propiedad Intelectual, estaríamos en presencia de una gran parte de países Latino Americanos que no reconoce este derecho privado. Al parecer estos ‘presidentes revolucionarios’ olvidan que la Propiedad Intelectual no solo tiene beneficios sociales y económicos, sino también morales. Adicionalmente, la parte económica del derecho no solo protege a las trasnacionales sino también a sus propios nacionales y por ello deben ser más cautelosos. Esta propuesta puede repercutir en la economía de el propio país; ejemplos de esto se observan en Cuba donde hace poco la Unión Andina de Patentes reportaba que el aumento de patentes de Cubanos en Estados Unidos ha aumentado pues estos buscan proteger sus inversiones. Otro modelo sería Venezuela, donde se reporta que la mayoría de empresas trasnacionales han dejado esta jurisdicción. Sin duda alguna, esto conllevaría a otros problemas como seria que fabricantes de medicinas no exporten estas a países donde no se respeten las patentes. Dicho esto, ¿Que buscan dichas políticas socialistas? ¿Es en realidad la Propiedad Intelectual un derecho solo monopolista? "The IOC tendered the broadest media rights package ever offered to the Brazilian market combining broadcast – both free and pay – broadband, internet and mobile. 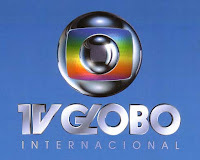 The combination of offers from Globo, who won the main tender, and Bandeirantes and Record led to a 12-fold increase in rights fees for the Brazilian market since 2008 – a validation of the strength of the Brazilian advertising and sponsorship market. In addition, the proposals from the broadcasters will mean a quantum jump in coverage and broadcast hours for the Olympic Movement in Brazil, a testament to the widespread enthusiasm felt across the nation for the Games". Are the sums in question too high? The consortium which has secured the rights must have done its homework in terms of calculating likely licensing and advertising income, but the big unknown is the extent to which the technology in 2014-2016 will enable the bidders to control their rights. There's a lengthy entry on Wikipedia on Rio de Janeiro's successful bid to secure the 2016 Olympic Games. It's well researched, with over 200 links to source documents, and current up to and including Wednesday 14 October. As yet, there's little of specific interest to IP owners and their legal advisors, but I suspect that this will change as details of specific sponsorship details, broadcasting and transmission arrangements etc become known. There's also a separate non-Rio-specific Wikipedia entry here that covers the Olympic and Paralympic symbols. Readers of IP Tango may wish to consult these resources and indeed contribute to them. La unión Europea ha enviado un comunicado a las autoridades Chilenas en el cual pide que acepten nuevas restricciones referentes a Denominaciones de Origen en productos lácteos. Esta medida forma parte de la ‘clausula evolutiva’ (Articulo 74) del Tratado de Libre Comercio firmado por ambas partes en el año 2004. Específicamente, la Unión Europea exige que Chile respete Denominaciones de Origen Europeas para producto lácteos que sean elaborados en dicho país y que son comercializados tanto en el interior como en el exterior. Los quesos afectados por dicha exigencia seria como por ejemplo el camembert, brie y emental. Por esta razón, el presidente de la Asociación de Exportadores de Productos Lácteos (Exporlac) Manuel Zamora, indicó que la industria láctea rechaza la propuesta brindada por el bloque europeo. Dicha negativa se debe a que anualmente la industria láctea Chilena exporta más de US$ 250 millones, y esta medida afectaría el 30% a la industria quesera. Debemos notar sin embargo, que las autoridades Chilenas se reunirán en las próximas semanas con los productores locales de queso e intentaran negociar un acuerdo. Al momento se estima que dichas negociaciones se basaran en un tipo de compensación. Se dice que Chile buscará aumentar sus cuotas de exportación hacia la Unión Europea en productos tales como la carne de res, el pescado y aceite de oliva. El punto a considerar es sin duda el desenvolvimiento de la clausula evolutiva que se basa en la reciprocidad. Nos preguntamos a tal efecto ¿cuánto estará dispuesta la Unión Europea a acceder? Previamente la Unión Europea ha intentando extender el Artículo 23 del Convenio de Paris. Como se sabe, este Artículo solo protege las Indicaciones Geográficas de los vinos y las bebidas espirituosas. Esta propuesta algo controversial se ha visto por muchos gobiernos como una extensión innecesaria que a la final no beneficiaría al consumidor. Estos consideran que muchos de estos nombres son usados genéricamente en varios países, un ejemplo en este caso sería el queso parmesano. La pregunta radica, ¿es esta una manera de la Unión Europea, después de no recibir el apoyo de la mayoría de los países miembros del Convenio de Paris, de proteger sus productos agrícolas y procesados, por la puerta de atrás? La Suprema Corte de Justicia de la Nación (SCJN) negó un amparo a la empresa Televisa, como parte de la disputa que ésta sostiene con su competidora Televisión Azteca por el registro como marca de la frase "Ponte la Verde", utilizada para identificar a la Selección Mexicana de futbol. Televisa solicitó a la SCJN que declarara inconstitucional el artículo 151 de la Ley de la Propiedad Industrial, el mismo que sirvió de base para que el Instituto Mexicano de la Propiedad Industrial (IMPI) no anulara el registro de la frase que le otorgó a TV Azteca. Pero la Corte ratificó la validez de dicho artículo y se negó a amparar a Televisa. Pese al fallo, Televisa no ha perdido definitivamente el litigio. La SCJN regresó una parte del juicio promovido por Televisa a un Tribunal Colegiado de Circuito (instancia de menor jerarquía), para que revise algunas cuestiones de legalidad que tienen que ver con el proceso, los argumentos y las pruebas que tomó en cuenta el IMPI para negarse a anular el registro de marca que le otorgó a TV Azteca. Desde enero de 2006, previo al mundial de Alemania, TV Azteca obtuvo los derechos para hacer uso exclusivo de la frase "Ponte la verde", motivo por el cual Televisa le pidió al IMPI que anulara dicho registro. Televisa alegó que la frase que había registrado TV Azteca le pertenecía pues la había usado desde antes de que se otorgara el registro. En noviembre de 2008 el IMPI rechazó la petición por considerar que no había demostrado que hubiera usado dicha frase publicitaria de manera ininterrumpida. Sin lugar a dudas seguiremos teniendo noticias de éste conflicto máxime ahora que la Verde ha calificado al mundial de Sudáfrica 2010. Más información aquí, aquí y algunos antecedentes aquí. Rio 2016 -- who will pay, and how? As with all Olympics, of course, the question now is how will it all be paid for. The next games will take place in IAM's home town, London. The original budget for these was set at £9.3 billion or around $15 billion. It now seems pretty clear we are going to end up paying a lot more. It will not be a surprise if the same thing happens to Rio. It seems to be a usual occurrence whoever the host happens to be. But even if Rio does defy the odds and sticks to budget, the extra money to hold the games is still going to have to be found from somewhere. And one place the Brazilians have always looked to reduce costs in the past is in their dealings with the research-based pharmaceutical industry. It may be the world's eighth largest economy, but Brazil still sees itself very much as a developing country. As a result, it does not believe it should pay top dollar for its medicines. In fact, the country believes it should not pay very much at all. Interestingly, Brazil currently imports $8 billion worth of drugs and medicines a year -- which is about half the cost of a London Olympics give or take a billion or so. My guess is that even if they are not sponsoring events in Rio in 2016, pharma companies may well find that they make a significant contribution to their success as Brazil seeks to find compulsory licensing savings in order to finance building and other infrastructure projects". Will this prediction come true? And what will it mean both for the financing of the Olympic Games and for the pharma industry? At this stage it is too early to speculate, but I image that by 2016 the cost of pharma products to Brazil and all the rest of the world's actually and self-designated developing countries will be far lower than it is now, on account of (i) the continued growth of the generic sector, (ii) the increased success of the anti-patent lobby in branding pharma patents as 'toxic' and (iii) the reluctant acceptance by proprietary pharma that, outside North America, the EU, Japan and a few other ringfenced markets, it will make no worthwhile profits at all. Accordingly, the savings to the Brazilian government through compulsory licensing might be in real terms a lot less than the sort of figures we're looking at now. There are two further points to consider. The first is that money saved on Brazil's health budget is unlikely to flow effortlessly into the coffers that support the Olympic Games project, since -- whatever the degree of prestige accorded to Rio 2016, the Brazilian government has many other demands on its cash. Secondly, a prudent Brazilian treasury will be slow to pay public money towards an event that attracts private sector investment as strongly as the Olympics do without first looking carefully to see how much of the necessary funding does indeed come from private sector sources. Debemos recordar que en el año 2008, Venezuela abandonó la Comunidad Andina. Mucho se ha debatido si la revisión que se promueve de la legislación de Propiedad Intelectual atacará las empresas multinacionales y apoyara la piratería o en realidad el Gobierno busca propagar las creaciones a los sectores de menos recursos económicos. Así pues, esta decisión puede ser vista por algunos como un intento más del Gobierno de promover la reducción de las barreras legales para las obras de la creatividad, o ¿es el caso de que se está promoviendo las reproducciones ilegales en Venezuela? Here, thanks to Jorge Miguel Arruda da Veiga (Di Blasi, Parente, Vaz e Dias & Asociados) is a link to the new Brazilian Law no 12035/2009, which sets outs the provisions of the Olympic Act. At present this law is only available in Portuguese. However, since most of readers of the IP Tango weblog are not familiar with that language, Jorge has kindly offered to translate it and provide this blog with an English version next week. A giant party broke out in the streets of Rio de Janeiro last Friday when the International Olympic Committee announced that the city of Rio de Janeiro had been chosen to host the 2016 Olympics and Paralympics Games. This historic decision was viewed by the people and the authorities as a conquest, since the Olympic Games will be hosted for the first time in South American, and because the other competitors (Chicago, Madrid and Tokyo) were very strong. Nevertheless, Rio de Janeiro’s victory left no doubts as it took 66 votes in favour against 32 for Madrid in the final round of voting. The contagious atmosphere of the victory seems to have already overcome the limits of the law and fair competition, at least to the eyes of the IP experts since, the following day, besides praising for Rio de Janeiro’s success a great number of Brazilian and foreign companies took the opportunity to advertise their products and services in local newspapers in connection with the big event yet to come. Other companies, however, praised the victory of Rio de Janeiro in connection with their main products or services. Such advertisements may be qualified as typical ambush marketing practices and association with the Olympic marks, and evidence that the Olympic authorities will have tough work ahead to tame the enthusiasm of the population and the hunger of the local and foreign companies, as free riders will surely attempt to profit from the biggest sport events ever held in this country. Further to that, ambush marketing is still a recent phenomenon in Brazil, especially for the local courts, which will sure demand new rules, education, tenacity and patience to stop the ongoing practices. On 1 October, one day before Rio de Janeiro was chosen to host the 2016 Olympic and Paralympic Games, the Brazilian Federal Government enacted law no 12.035/09, which instituted the Olympic Act. This law became effective on 2 October and will remain in force until 31 December 2016. According to this Law the Federal Authorities, such as the Federal Revenue and Federal Police, are empowered to oversee, control and restrain third-party unlawful use of the “symbols related with Jogos Rio 2016” (Rio Games 2016), whether for commercial or non commercial purposes. For the purposes of this law, “symbols related with Rio Games 2016” comprise the mottos, hymns, flags, emblems, marks, words (in any language), abbreviations, mascots and torches of the International Olympic Committee (IOC), Rio Games 2016 Organizing Committee and those related to the Rio 2016 Olympic and Paralympic Games. Another issue also addressed by the Olympic Act was the practice of ambush marketing, a matter closely related with the Olympic Games. Article 7 prohibits the use of words or expressions so similar to the “symbols related to Jogos Rio 2016” that are likely to create an undue association with any product or service, company, business relationship, or event with the Rio Games 2016 or the Olympic movement. The Olympic Act also determines the possibility of suspending Advertising Contracts in force during the period of 5 July to 26 September 2016, for advertisement spaces at airports or in any territorial area controlled by the federal authorities that may be of the interest of Rio Games 2016. Such suspension depends upon the request of Rio Games 2016 Organizing Committee, provided that it is duly grounded and with a 180 days prior notice. The Rio Games 2016 Organizing Committee will also have the exclusive option to use such advertisement spaces in 2016, according to the price generally practised in 2008, subject to an interest rate indexation, avoiding inflation or the raise of prices due to the upcoming event. This option may also be transferred to any sponsor or official collaborator of the International Olympic Committee (IOC) or Rio Games 2016 Organizing Committee. El senador del PRD, Rubén Velásquez presentó una iniciativa para reformar la Ley Federal de Variedades Vegetales con el fin establecer límites a las patentes y derechos de propiedad intelectual sobre los recursos fitogenéticos. En palabras del legislador "La propuesta parte de la perspectiva de que el derecho de uso de estos recursos y conocimientos no pueda ser restringidos a la vía de la propiedad intelectual ni a la legislación en materia civil". La iniciativa pretende establecer que los recursos fitogenéticos son de dominio público y que nadie podrá ejercer derechos o imponer restricciones cuando su acceso tenga por objetivo el desarrollo de investigaciones para la alimentación o la agricultura. El Foro académico de Derecho de autor y Derecho industrial de la Pontificia Universidad Javeriana de Bogotá (Colombia) ha organizado una jornada con motivo de la presentación del nuevo libro del profesor Ricardo Antequera Parilli "Estudios sobre derecho industrial y derecho de autor (Análisis de Jurisprudencia comparada)". El evento tendrá lugar el día 13 de octubre de 2009 de 8:00 a.m. A 12:00 m. en el Auditorio Luis Carlos Galan, Edificio Gabriel Giraldo, S.J. y contará, además de con el profesor Antequera, con otros ilustres académicos y autoridades.